Make magical music therapy sessions so your clients can shine! Boy have I been there! You had instant access to a library of songs and interventions? You could break out of the rut and get inspired!? Your clients experienced faster and more noticeable outcomes as a result of music therapy!? You had support and guidance through sticky situations and unfamiliar territory? Since 2007, I’ve been working with children who have special needs. This is my passion. I have worked extensively in the special education school setting and also built a thriving music therapy center, Sound Starts Music, from the ground up. Watching kids experience music and and make progress with music therapy is one of my greatest joys! I know how time consuming it is to create all your own materials. I also know how hard it can be to find songs that work for music therapy that do not require a ton of adaptation. I have spent many hours searching online but never finding quite what I was looking for. At times I’ve even wondered if I was on the right track with my approach and I wished for support from other music therapists! That’s why I created the Music Therapy Kids Club: to provide resources and support and ultimately, better outcomes for our clients! I’ve done the work so you don’t have to reinvent the wheel! Is Music Therapy Kids Club right for me? Do you want to earn CMTEs that specifically relate to your work? Are you looking to expand your repertoire of music therapy interventions? Do you need songs that work NOW!? Do you need to get UNSTUCK and out of the rut of using the same old songs? Are you are looking for feedback about specific situations and techniques? Do you want to spend less time planning and more time with clients? Don’t just take it from me, let other music therapists do the talking! I love the songs and activities Mary puts together! Her ideas and interventions have greatly assisted the clients I serve. The melodies are not just kid friendly but user friendly too! I can’t wait to hear what she comes up with next! I can’t believe that I first met Mary Altom when I supervised her in internship. What’s EASY to believe is what an incredibly resourceful, invaluable, genius asset she is to our field. When I think of leaders in the field of music therapy, Mary’s name is at the top of the list. 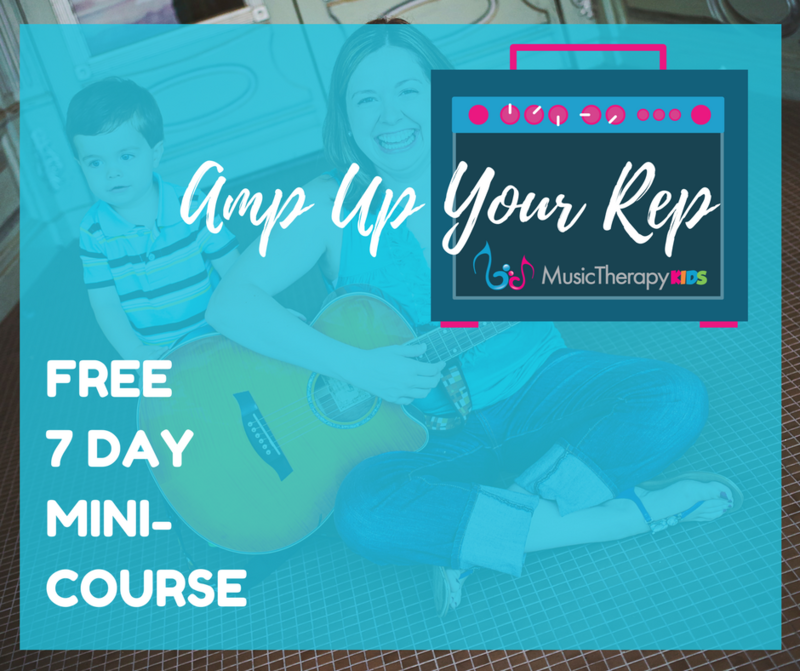 Mary not only runs a thriving private practice, serving various clinical populations in her area… She is also the founder of Music Therapy Kids, a rich resource for anyone who wants to boost their repertoire and get trained to do what SHE does! Mary is a mover and a shaker, and you *want* to be in her world. Trust me. She has a warm, welcoming energy about her, and I highly recommend her Kids Club. Don’t miss out. Do your clients a favor and join the Kids Club! The ENTIRE Music Therapy Kids song libary (recordings and lead sheets) at your fingertips. 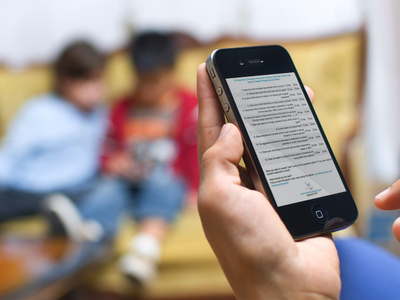 Once per month, you’ll receive a session plan loaded with intervention ideas around a theme. Get a special delivery right to your door! Packed with Music Therapy Kids swag and useful materials! *Available for annual subscribers. Don’t spend all your time creating visuals to go with your session plans. These are made for you! Just print and go. Got a specific and tricky situation on your hands? You can schedule a 15 minute individual coaching call EACH month where we can chat about your challenges and celebrate your successes! Every training and conversation will be recorded and uploaded to the website. As long as you’re a member, you’ll have access. These trainings will include demos or presentations from myself and other music therapists who are experts in working with children. You may also have input on what type of training is offered! 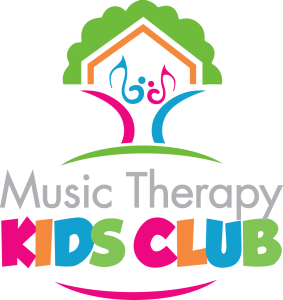 Music Therapy Kids Club members join an exclusive Facebook group where you can instantly connect with other members! Why should reinvent the wheel when planning your sessions? Spend more time with your clients and less time planning! Live trainings can easily be bundled as CMTE credits. We make it easy – fill out a form and receive a PDF documenting your attendance. Don’t fall into the rut of doing the same interventions each week. Monthly done-for-you session plans make changing things up a breeze! Working as a music therapist can be isolating. Get support from me during office hours or from like minded music therapists in our exclusive Facebook group! The children you serve deserve the best, high quality music therapy services you can provide. Songs and interventions shared in the Music Therapy Kids Club are tried and kid approved! Teachers, parents, and professionals will take note of your renewed creativity. They will notice when your clients shine! Nothing validates music therapy more than seeing it in action. Gain confidence in your clinical skills that will translate to increased referrals and community partnership. All. the. amazing. things! Seriously. All of Mary’s original songs and lead sheets. Session Plans. Visuals. And MORE. You have to see it to believe it. I have a specific topic I'd like to talk about. Are you available to help? Yes! Every month, you may schedule a 15 minute laser coaching call with me. You’ll receive a link to my available slots and after you sign up, we can chat via phone or video call at the designated time for a quick, focused discussion about your specific situation! You’ll also have access to our private facebook group where you can ask a question anytime. There you’ll not only get my support but also that of other members! Are the trainings live? What if I can't attend during the scheduled time? No problem! While not all the trainings will be live, those that are will be recorded and later added to the website so you can watch or re-watch them on your terms. How do I earn CMTEs? Every webinar or training will be a minimum of 50 minutes (the length of 1 CMTE). A link to a form will be provided along with the video. Once you fill it out, you’ll get a PDF with all the necessary information. Bundle 3 or more 50 minute segments together for an umbrella grouping (check CBMT re-certification manual for details). Music Therapy Kids is currently a non-preapproved provider. How many CMTEs can I earn? That’s really up to you! Yearly members can expect at least 6 new training modules to be added over the coming year. All members will have access to the training library! As long as you are a member, you’ll be able to get new trainings and keep earning CMTEs. Of course! You can upgrade at any time after signing up. After logging in, you’ll see a link to your account information where you can mangage your membership type.